This product requires a prescription and is only shown here for demonstration. We are unable to sell through our online store. Please schedule a Free cosmetic consultation to determine whether you are a candidate for this product. With Obagi-C Rx, you’re on your way to softer, smoother, radiant, and more even skin tone. 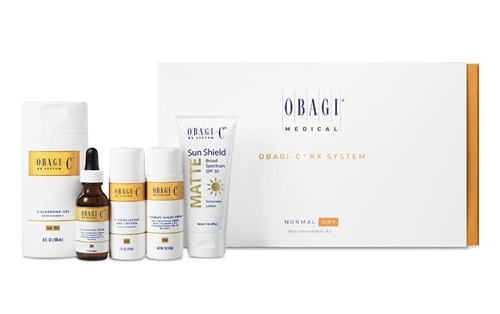 The Obagi-C Rx System offers the benefits of both prescription-strength 4% hydroquinone and powerful antioxidant Vitamin C to address the signs of skin damage and help restore and maintain younger-looking skin.